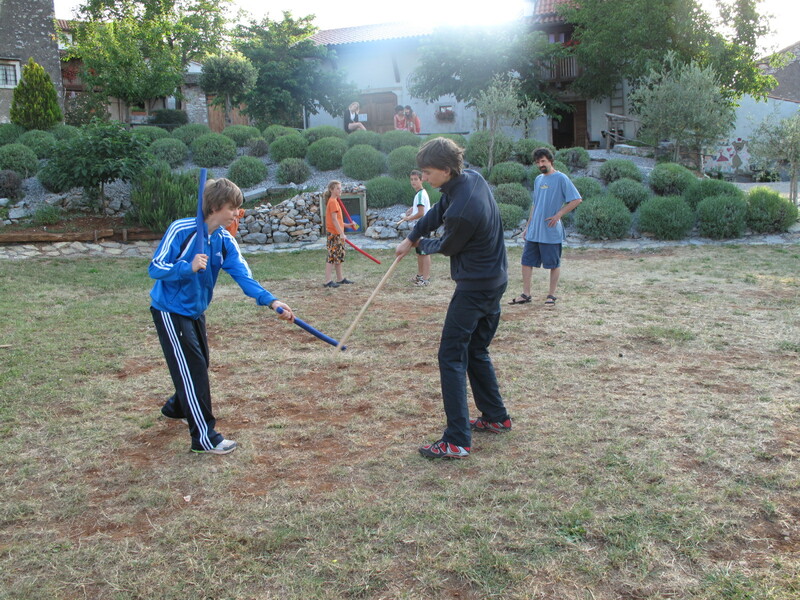 Here’s a video clip of us learning a quarterstaff drill at English Summer Camp Pliskovica 2011. 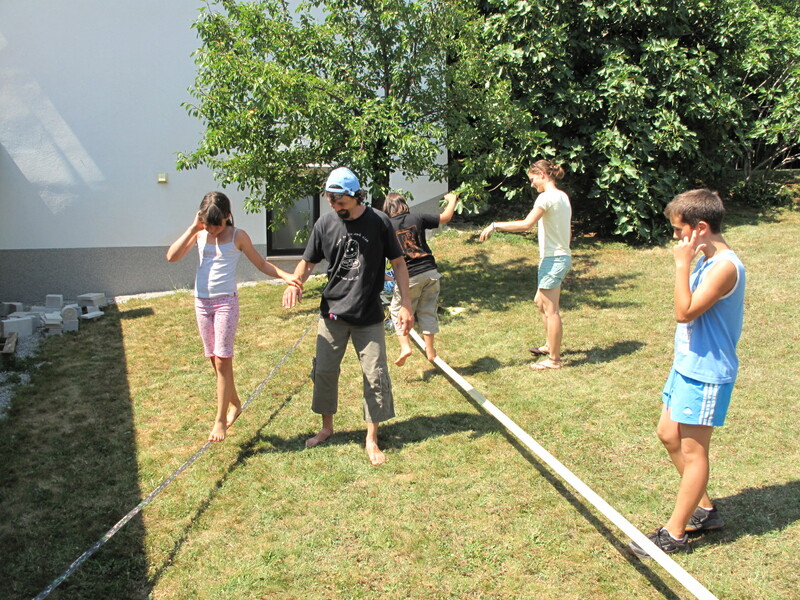 Here is a slack-lining photo from the wonderful English Summer Camp Pliskovica. The guys were great, the Gruffalo presentation was lively and the song was inspiring. I really enjoyed the way that students who were not in the group joined in with the singing too. Well done to everybody, you should be proud of yourselves. Day five was filled with the future. 🙂 The students learnt and practiced the future intentional be going to. Some of them had already learnt it at school, but most had not. Final presentation plans were confirmed and the class was split into two groups, with half concentrating on a Gruffalo presentation and half on singing a song. Practice began in earnest. We have broken up the work with games of ‘grammar charade’ , i.e.’What am I doing?’ and ‘What did I do yesterday?’. The students have also started planing for their class presentation. Firstly, we watched The Gruffalo in its entirety, the kids loved it and understood so much that it surprised me. We broke for a snack and then, we described and asked each other questions about its characters. We finished up the session with some more Graffalo inspired description guessing games. Well the boys are up in their beds, not sleeping of course, and I am free to report what happened on our first day. Today in our shortened language lab we firstly focused on the use of this and that, through written exercises and simple conversation. Then we worked with our primary descriptions of some of the characters found in The Gruffalo. Finally, we finished off with the classic game of Hangman using animals as our inspiration. I promised them that we could work with the animated film tomorrow, let’s see how they will like it. Hooray, the Pliskovica summer camp starts today. I will keep you all updated with the English language Gruffalo fun. I just hope the weather will be nice!